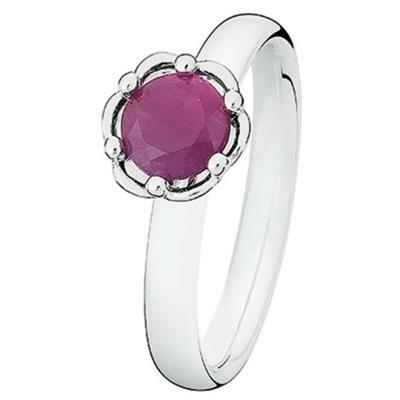 The birthstone for July is Ruby - also known as the 'Lord of the Gems' because of its rarity and impressive beauty. Its strong red colour symbolises love and passion and was believed to protect against evil and to make its wearer irresistible and invulnerable. It was traditionally believed to sharpen the senses, stir the imagination and secure health, wisdom, wealth and success in love.